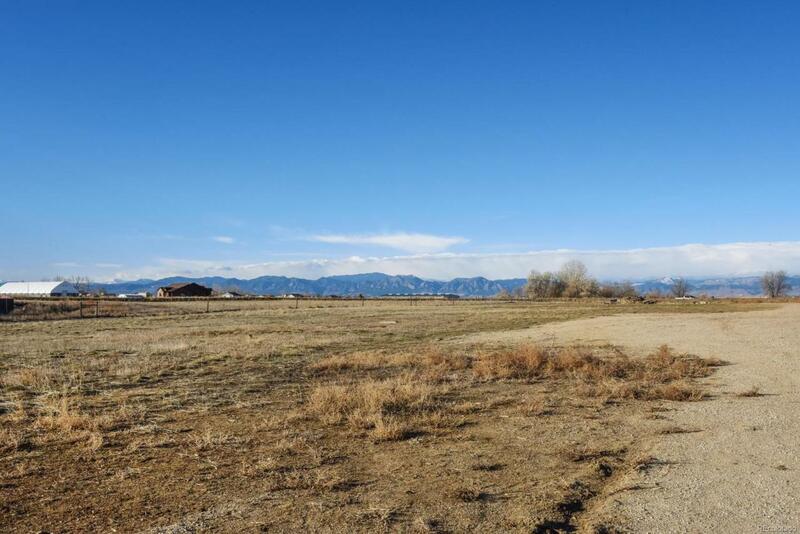 This property boasts beautiful views of the front range and has room for a couple of properties to be built should the buyer choose to do so. The subdivision does not allow commercial truck parking or outdoor storage containers. Rent out the front of the lot and build your dream home on the rest! For more information, please contact Weld County. The home is currently tenant occupied and tenant would be willing to stay if allowed. Current tenant rents for $1500/month. Average utilties water/electrics/gas run about $200/month. Easy access to I-25! Full RV hookup next to the house with 50 amp service that could be rented out or lived in while you build. The information for listing is furnished by the owner and deemed reliable to the best of his/her knowledge, but should be verified by the buyer and buyer's agent.